Whether a child’s cuddly toy, a storybook character or a majestic creature, the elephant is a much loved animal. 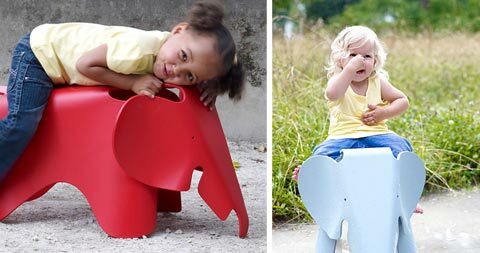 Originally designed in plywood by Charles and Ray Eames, this adorable toy elephant – or should I say ‘a timeless piece of modern design’ – is now available for the first time in a plastic version. 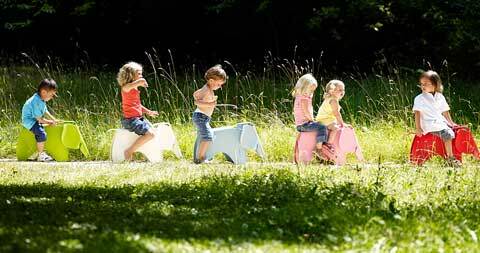 Decorate your children’s room or let them play with it outside, for this friendly-looking animal with its distinctive, over-sized floppy ears is bound to bring cheer and enjoyment to both kids and grownups. Measures: 16.5″ H x 16.25″ W x 31″ L.